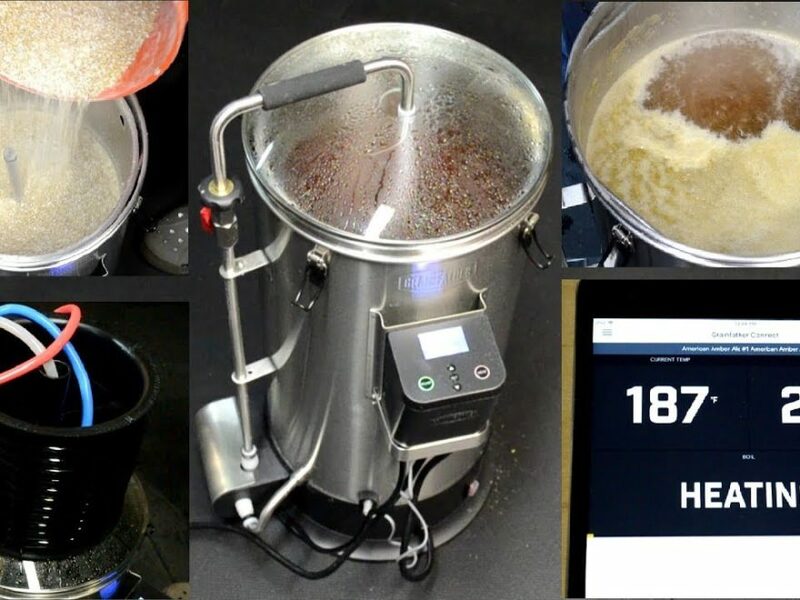 Part 2 of my Grainfather review, I walk through a brew day with the Grainfather demonstrating how to input recipes, sync to the app and Grainfather Connect Control Box, mash, sparge, boil, cool, rack to a fermenter, and clean it when done. Larry, I enjoyed your video.I had the same problem with the pump.The final result for me is the beer is awesome.I love the grainfather.Look at David Heaths videos, he has a lot great videos on how to use the grainfather.Thanks again for the videos. Thanks. I’m already subscribed to David. Was one of the reasons why I decided to get one. Larry, did you determine what kind of efficiency you got? Update: I just remembered the app has a manual input mash efficiency calculator. It says I had a 92% mash efficiency which I find hard to believe. I did not. I’m realizing again the limitations of depending on other brewing software compared to my own spreadsheet as it did not calculate that for me, and I haven’t bothered trying to reinput all of this back into my spreadsheet to find out.